American Plating Company, St. Louis Missouri, Learn About Us. 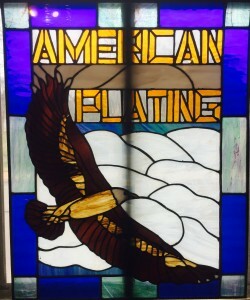 Since 1944 over 70 years, American Plating Company grown from a local plating company with humble beginnings in the lighting industry to a national plating destination. Especially relevant, our dedication to provide the highest quality metal plating service in the nation for our customers is no doubt the reason for our success. As a result, we serve several large commercial and industrial accounts “from the mountains to the prairies to the oceans white with foam”. Also, with headquarters in St Louis, Missouri, we are conveniently in the heart of the United States of America. As a result this enable’s us to serve both the local and national demand in an efficient and timely manner. Finally, we conduct many plating practices at our facility. Therefore, we include coating high-volume industrial electro-conductors, restoring priceless antiques and serving manufacturers of a wide variety of new goods. Furthermore, we realize that everyone we work with will use our services for uniquely different purposes, since we accept international work. As a result, our goal is exceed our customer’s satisfaction and in a timely manner. We offer industrial and commercial Gold, Silver, Copper, Nickel, Brass, Electroless Nickel, Tin Plating, and now we can Anodize TITANIUM. In addition, we also offer polishing and finishing services. A wide range of traits is important for metal work because each metal has different properties. In addition, each job is special and we always take into consideration what works best and is most cost efficient for our customers. For example, if a customer sends us a gun and asks us to silver plate it, we always recommend nickel plating instead, because nickel is more durable when firing and is not as soft as silver. In conclusion, we always put our customer’s needs ahead of our own.